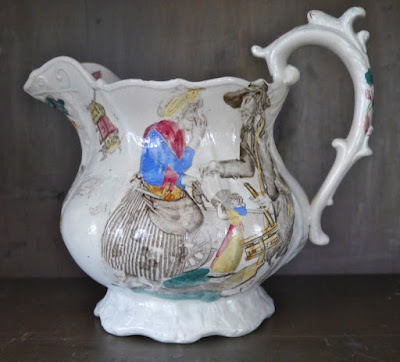 Dishy News - A Transferware Blog: RAT CATCHER! There is a National Rat Catcher Day! Really. It is celebrated on July 22, and it commemorates the story of the Pied Piper of Hamelin (the rat catcher of Hamelin). I found two transferware patterns that depict rat catchers. I already showed you one pattern when I wrote a post about ferrets. The rat catcher used ferrets to catch the rats. Enoch Wood & Sons (1818-1846) 11 inch ewer from the Sporting Series, where nearly each size and shape depicts a hunting or hunted animal. The ferret is used by the rat catcher to catch rats. The man's sash displays rats along with a crown. He may be a royal rat catcher! Remember to click on the photo to make it bigger. Here is another pattern. It is quite humorous. The woman is holding her nose as she hands over the rat to the rat catcher. 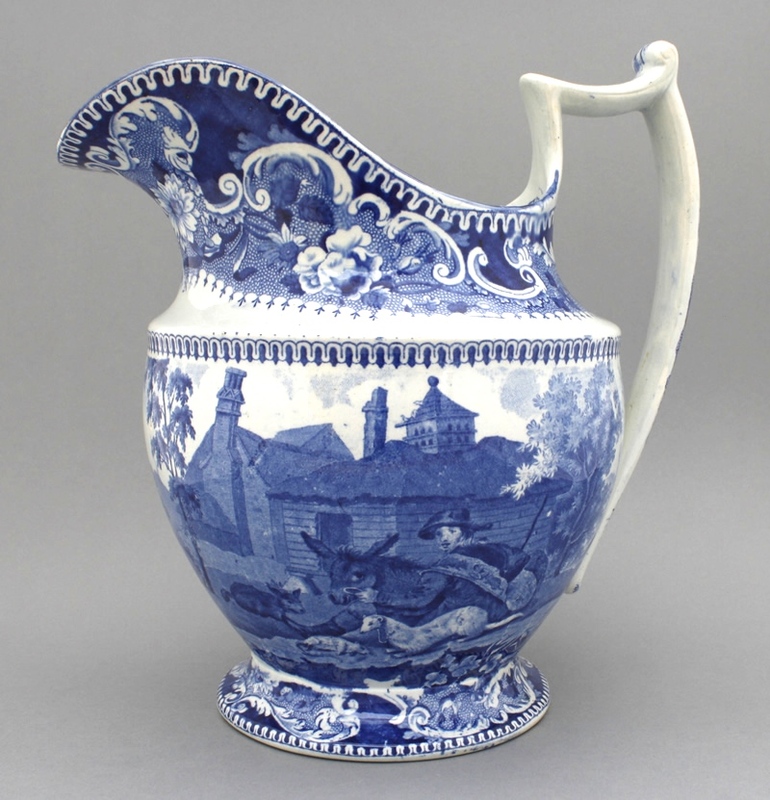 Jug printed with a rat catcher and his client, ca. 1830. Notice that she is holding her nose. Here is my own rat catcher. The feline kind. If she were hungry (she never is in my house), I know she would catch rats. I read on the National Calendar Day's website that July 22 is also a day to thank all exterminators. As someone who has suffered with flea and termite infestations, I'll second that!